Taking shower is a very vital step in everyone’s life. Most of us take shower every day to keep ourselves clean, healthy, and above all fresh and active. It may seem weird to you that taking shower requires a certain procedure and steps. However, including taking shower every day in your routine will not improve your health but also calm your senses. It is best advised to use a separate towel, each time you take shower. The things like soap or shower gel should be kept separate. If you have a fan in your bathroom, turn it on before getting in as it will reduce the level of humidity in the bathroom. Moreover, do not rush into the shower immediately as the temperature and pressure would be very high at that time. Take your time and let the temperature get stable for you and then get into the shower. You need to wash from top to bottom, not vice versa. Use shower gel and apply it to your body with the help of a loofah, so that the oil or dust gets removed efficiently. Do not rub the loofah too hard on your body as it can damage your skin cells too. 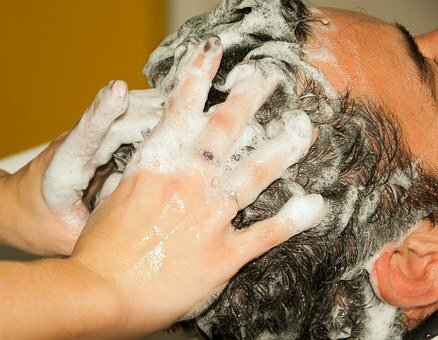 Generally, people think that using a large amount of shampoo will keep your hair clean and healthy, but it’s wrong. You need to find the right shampoo for your scalp. Before buying it, make sure that the shampoo contains features like mild nature, good and soothing fragrance. Your shampoo should be able to make you feel good while you smell your hair. For washing your hair, put a small amount of shampoo on your palm and apply it on your scalp. Massage your scalp for a few minutes and rinse it off completely from your hair with the help of water. People tend to believe that it’s bad to moisturize your skin after taking shower immediately. But, it’s wrong. It is very good to keep your moisturizing creams and lotions in the bathroom and apply it on your body after taking shower, as it helps in increasing the circulation of the blood in your body as you massage your body with a cream. It is best advised to use lukewarm water to take shower. You should not use either too cold or too hot water for taking shower as it can damage your skin cells or burn them too. Lukewarm water makes you feel good and refreshing. It has the tendency to rejuvenate your damaged skin cells and make your skin feel hydrated. Therefore, just get into the bathroom, take shower and feel peaceful.